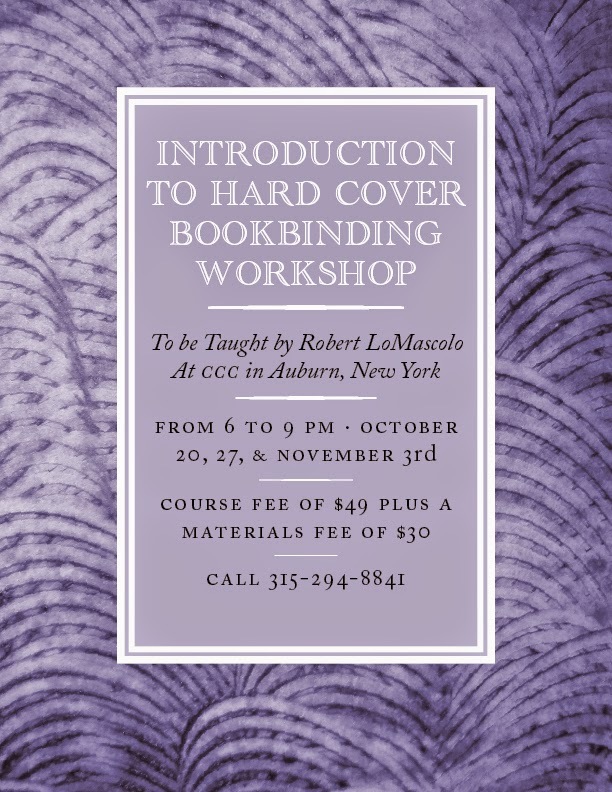 The Press of Robert LoMascolo: Bookbinding Workshop . . .
Bookbinding Workshop . . . In this class you will learn how to create your own unique blank hard cover book which you can use as a journal, sketchbook, or anything else you like! Learn all the steps to go from a stack of plain paper to a real hard cover sewn book just like those on library shelves! The materials fee will $30 payable to the instructor at the first class and will cover all needed supplies.